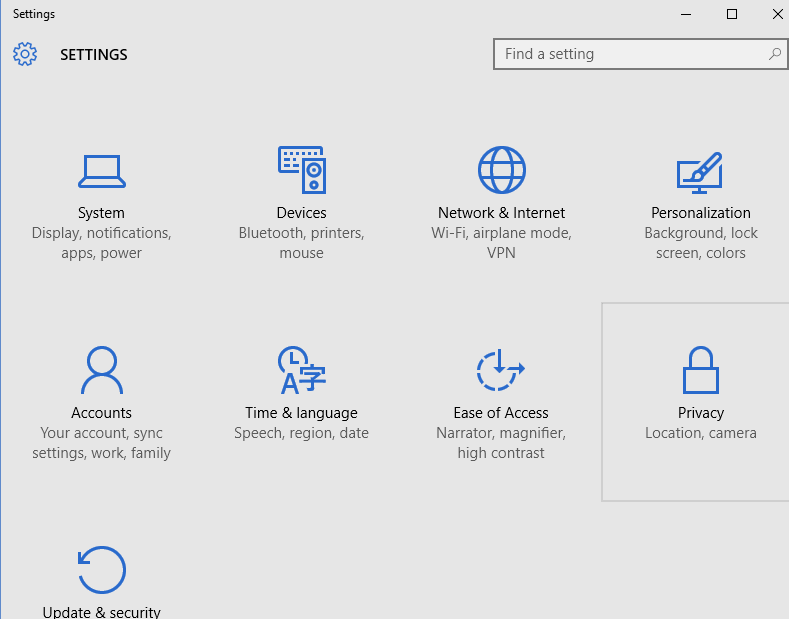 Windows 10 has done a cool thing by creating setting control panel. This is a separate control panel tab for tweaking various settings of windows. Just press windows key + i or click on start menu and then press settings to reach this pane. You can change settings of mouse, networking background, colors and what not. This is just a click and choose menu with ease of use which people are loving. For example if you to change color of the taskbar or you want to change background, just visit personalization in settings tab. Similarly to turn WI-FI on or off or to enable airplane mode visit Network & Internet. But, do you know there is a shorter way to reach any setting location. For opening any setting page you have to just enter a shortcode in run command box. For example, if you have to change mouse settings, just press windows key + r to open run command box. 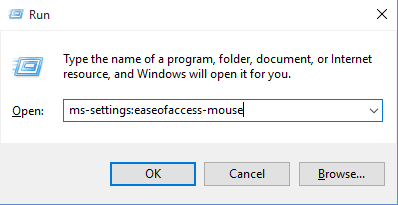 Now, type ms-settings:easeofaccess-mouse in it. Mouse setting page will pop up.